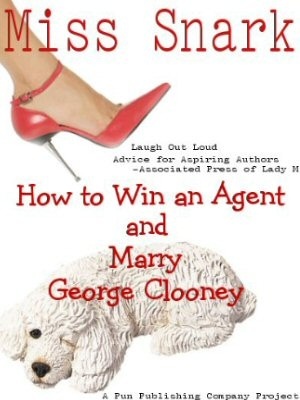 Miss Snark, the literary agent: Do you want a rejection or a refusal? Do you want a rejection or a refusal? Is there some new query “guru” out there suggesting wording to potential authors? I’ve gotten at least three queries this week that say, more or less, should I send a sample by snail mail or email? Or – would you prefer I send a sample to your PO Box or some other address? The presumption being that I want them to send anything at all. This seems to be a new phenomenon. This is straight out of parenting books! To wit, don't give the kid open ended choices: "do you want to go to bed at 8pm or 8:15pm?" not "Do you want to go to bed?" I think you find "directed questions" in business books, particularly sales books, as well. It's condescending as hell and, when done less than artfully, so transparent as to be annoying. Writing a sentence so that "no" is not the answer to "can I send you my manuscript" doesn't mean we're going to say yes. It means we're going to send you a form letter just like everyone else. The danger of this kind of phrasing is that it makes us stop reading at the cover letter. That's not what you want. Save the directed questions for your loinfruit. I wonder if this is an extension of what they're telling college kids these days when they send out resumes. You're supposed to appear "proactive" by saying in your cover letter: "I'll follow up with a phone call next Monday to gauge your interest." Seems to me the fastest way to get someone let all their calls go directly to VM on Monday. There is a difference between knowing what you want and not letting people walk all over you, and being obtrusive and annoying. It's a fine line, but that wording would cause an eye roll from me too. "The danger of this kind of phrasing is that it makes us stop reading at the cover letter. That's not what you want." You start reading the end of the letter first, is that it now? And if you don't like the writer's etiquette, then you make a preemptive strike? The fact that a writer phrasing the sentence at the end of a letter inviting you to ask for more a bit too assertively should be of such concern amazes me. For Pete's sake, If agents are so thin skinned and this sets them off, then maybe they should be in another line of commissioned sales. She talked about stopping reading 'at the cover letter'. That doesn't mean she reads the end of the letter first - after all, the query would have the popular 'couple of sample pages' attached. And why shouldn't it be enough to decide not to continue things? She is judging a writer by the writing. Why is that bad? She is going to have to spend hundreds of communications back and forth with them - listing only the options that suit THEM rather than the real options makes all discussions a real pain. Suggestion: "The story will read a lot cleaner if you get rid of the romance between the doorman and the maid"
Reply: "So do you want me to move the romance to the second chapter or the third?" They'll be exchanging hundreds of communications - can you imagine the extra pain and effort if even half of them used the same technique that the writer showed in the query letter? Hmm. There's one problem with this. If I have problems with people telling me "send one" but not how, how should I phrase the request for information without sounding goofily obsequious? While this may be in parenting books too, it's also straight out of just about every marketing book out there too. Especially direct sales marketing books. I suppose someone put the fact that shopping for an agent is, in fact, marketing your book in a way and thus recommended sales techniques for the letter. I don't have a problem with the "give them two choices, neither of which allow yes/no answers" idea - but I think it's probably much more effective (and a lot less condescending sounding) in person. 'Writing' is 10% text, 90% subtext. The writer of that query letter is texting -- 'here's a choice of how you can respond'. This is not, in my opinion, a matter of taking 'offense' at someone's 'aggressive approach' to marketing. It's not even taking offense at being thought stupid. It's reading subtext. It's opting out of association with a clueless jerk. Think of it as developing a sudden headache when your blind date turns up wearing a bowtie. Never Explain. I mean it. Do not do it. Advise me to do what I want! Do you like it? Huh huh do you do you?